The French Riviera, or Côte d’Azur, is one of Europe’s most popular travel destinations thanks to its sunny weather and resort atmosphere. In this planning guide, we’ll offer vacation tips & tricks, things to do, when to visit, and which cities in Southern France are worth day trips. The French Riviera stretches along the coast from Menton to Théoule sur Mer and up into the Southern Alps, with several cities including Nice, Cannes, Antibes, and Vence, plus 14 natural parks, Roman ruins, medieval villages, and the sovereign microstate of Monaco. We’ve now visited France around a dozen times, and recently decided to devote two weeks of that to exploring the French Riviera in order to put together this guide (along with other Côte d’Azur planning resources, which are coming soon). While initially intimidated by the perceived glitz and glamour of the French Riviera, we came to love it as a tourist and budget-friendly destination markedly different from the rest of France. In this French Riviera vacation planning guide, we’ll cover what the Côte d’Azur has to offer. From picturesque beaches to museums to castles and more, the natural and culture beauty of the French Riviera is rich and abundant! Second, that you’re not renting a car and instead plan on relying upon public transportation. Again, not that there’s anything wrong with renting a car–it opens doors and presents its own unique challenges. Suffice to say, if you are renting a car, you’re probably better served by a different guide to the Côte d’Azur. We’re far from experts on the ebb and flow of crowds in the French Riviera, we have lived in a beach town with similar weather. 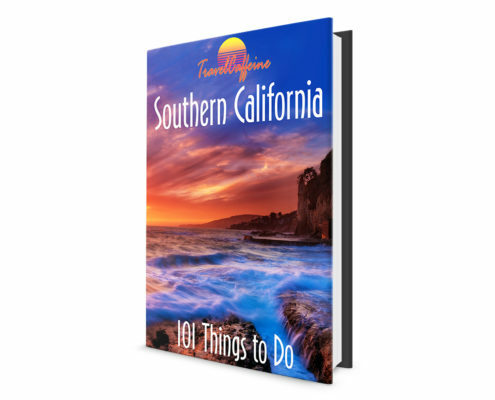 Our approach for when to visit the French Riviera mirrored how we’d approach a trip to Southern California. 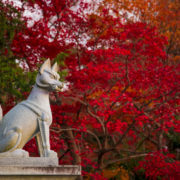 As such, we aimed for as late into the off-season as possible to enjoy a healthy mix of temperate weather and low crowds. This worked exceedingly well for us. The beaches were practically empty, notoriously congested tourist areas were devoid of crowds, and we got bargains on our accommodations. 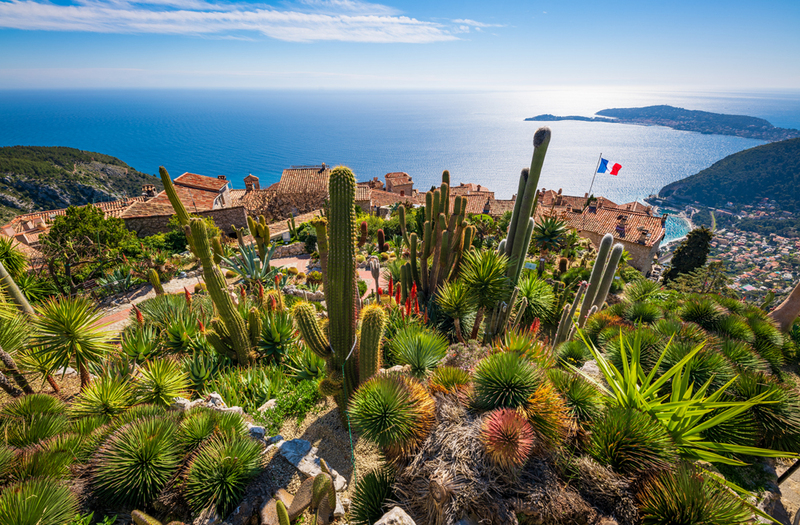 As with Southern California, the French Riviera has a year-round mild climate with roughly 300 days of sunshine annually. Rain is most likely in March, April, October, and November, but it’s never a “rainy” place. The Côte d’Azur is a popular summer-time destination for European tourists, with July and August being the worst months in terms of crowds. May, June, and September are considered to be the best months to visit the French Riviera, with a balance of moderate crowds and temperate weather. Non-holidays from October through April will see even lower crowds, with the lowest crowds also corresponding to the lowest temperatures. We aren’t particularly concerned with swimming in the sea or sun-bathing on the beach, but also didn’t want to be bundled up in parkas. From that ‘balanced’ perspective that skews towards lower crowds and prices, our top picks would be late September and October or late February through early April. Tailor your travel dates to your tolerances towards crowds and cooler weather. Regardless, check weather forecasts before your travel dates and pack a jacket and jeans in addition to the beach attire. No matter when you go, evenings can get chilly thanks to that coastal breeze. 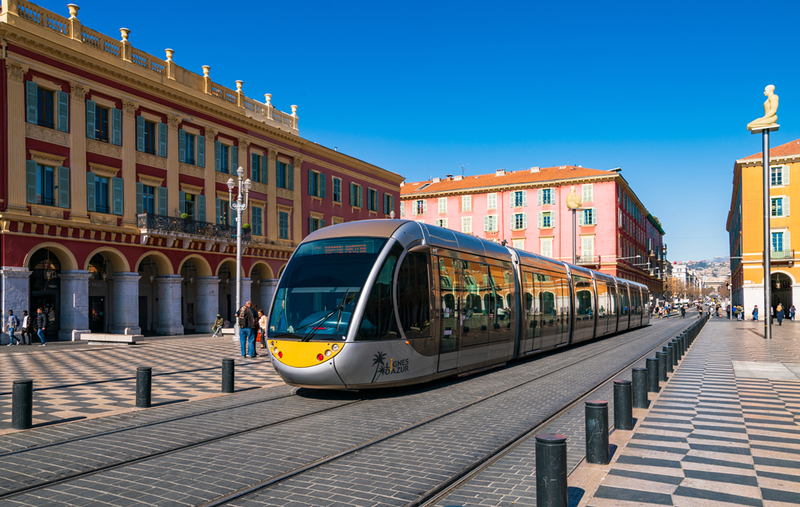 Assuming that you’re going to want to do some traveling while in the French Riviera, and not just lounge on the same beach every day, we’d recommend staying in a centralized location within walking distance of one a SNCF train stations. There is no need to hotel-hop during the trip–a single home base will work, as all destinations are under an hour by train. For us, the choice was simple: Nice. It’s the largest city in the French Riviera, making it where we wanted to spend the majority of our time. 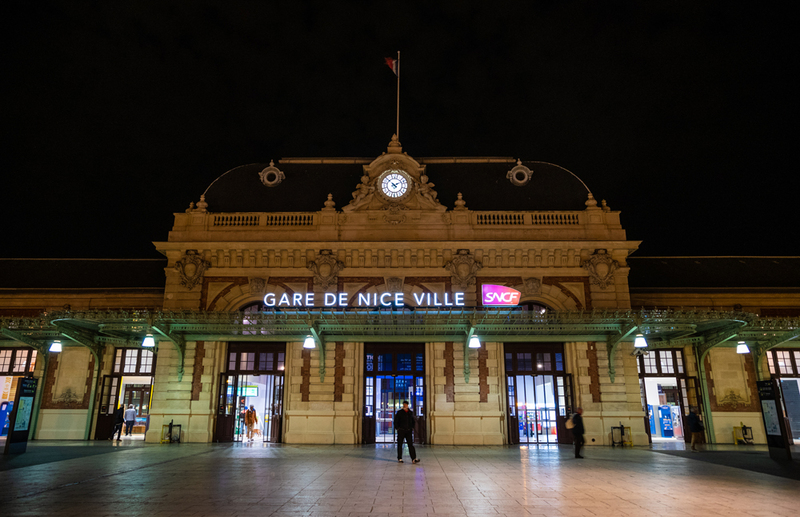 It’s also home to the Nice Côte d’Azur Airport, in the center of the region, and had the most abundant Airbnb rentals within walking distance of its SNCF train stations that were relatively inexpensive. Staying in Cannes or Monaco was also attractive to us, but prices were much higher and neither location is as convenient. If you’re looking for something more luxurious, those two options might be more alluring to you. 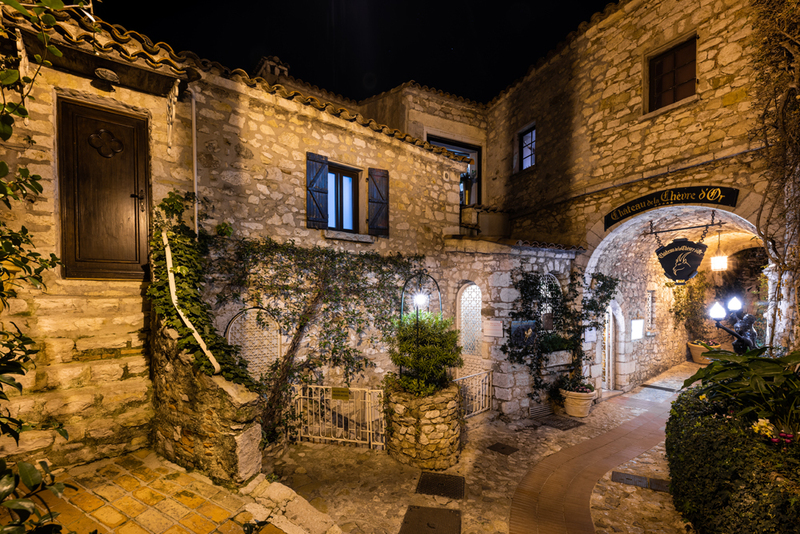 If you’re wanting to stay somewhere more quaint and intimate, places like Antibes, Èze, or the various old towns might likewise be appealing. However, nowhere has the best mix of attributes as Nice. Within Nice, there are a variety of posh hotels. 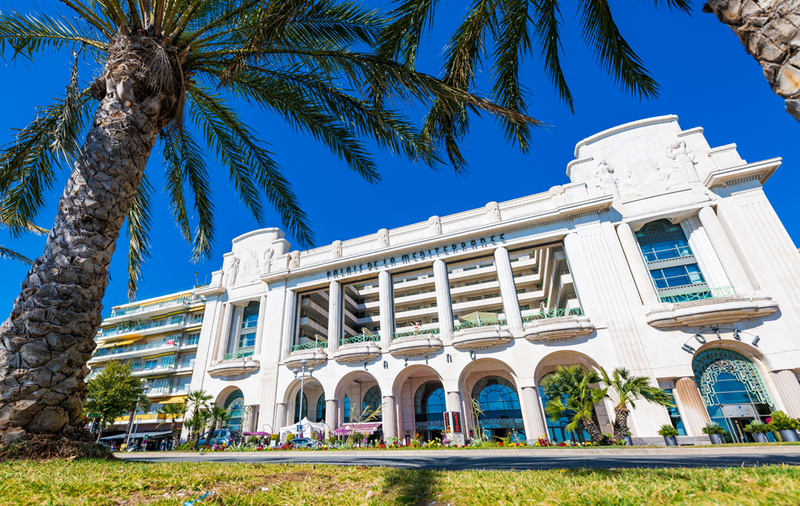 Some high profile options include the Hyatt Regency Nice Palais de la Méditerranée, set in an Art Deco casino complex and the pink-and-white domed Negresco, which is Nice’s most famous hotel. Prices for these two 5-star hotels are all over the place, but off-season bargains can be had. We instead chose to rent a 2-bedroom Airbnb in the neighborhood of Thiers, about 5 minutes from Gare de Nice Ville and about 15 minutes from the Promenade des Anglais along the Mediterranean. This was by design, as we didn’t want to pay premium prices along the coast, and preferred to be closer to the train station, anyway. Chances are good that you’ll be using the train station more than the beach, so we likewise recommend doing the same. In terms of getting to the French Riviera, unless you’re a high roller boarding a private jet (in which case you’re probably not reading this), you’re going to fly into Nice Côte d’Azur Airport, which is the main hub for the French Riviera and the second busiest airport in France after Paris. If you’re flying from the U.S., you’re almost certainly going to be connecting through London or Paris. We chose not to rent a car after reading that traffic, tolls, and parking are notoriously bad in the French Riviera. I’m not sure whether the traffic part would’ve applied in the off-season, but the tolls and parking parts still would’ve. Once we learned that the public transportation network is exceptional (and Uber services the area, which we used for getting to and from the airport) it was clear cut that renting a car was not for us. Your mileage may vary. The French Riviera is well served by buses, which are clean, timely, and inexpensive. This last one is the main selling point of bus travel along the French Riviera, as each ride is €1.50 no matter the distance. If you buy a multi-voyage card, the price is only €1 per ride or €5 for unlimited rides in a single day. Tickets can be purchased at train stations but not bus stops, or on board the bus. Ticket options are often greater at train stations, and credit cards are accepted. The bus drivers only accept cash, but can provide change. After buying the ticket, you must validate it by inserting it into a machine behind the driver. In addition to price, the other upside to buses is that they have far more route options than the trains. The downsides of buses are that they’re slower, run less frequently, often require transfers, and some don’t run on Sundays. Individually, train tickets are more expensive than bus tickets, but there are a variety of discount passes and combo tickets available, which are covered in meticulous detail here on the ‘Best of Nice’ blog. Our recommendation would be to use a mix of the bus and train, never tying yourself exclusively to one form of transportation due to a discount or unlimited pass you might’ve purchased. In general, both forms of transportation are pretty cheap and efficient, especially if you do a bit of work following those money-saving tips. We tend to favor the train, but there are some times we found the the bus to be necessary, such as accessing the Matisse and Renoir museums. Our eventual plan here is to create a series of single-day itineraries for the French Riviera, plus a combined week-long (or so) touring plan for your trip to the South of France. That’s a work in progress that’ll take a while, so for now, here are rough recommendations. 6. 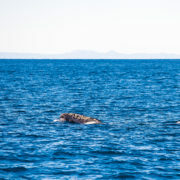 Cannes – Perhaps this is a matter of expectations, as I went to the French Riviera with Cannes as my #1 place to visit. To me, it felt like the high point of Cannes was its dining scene, with a number of Michelin-starred establishments. 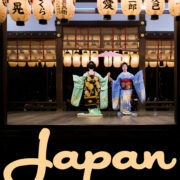 Additionally, festivals and conventions play a big roll in the city, but those are immaterial if you’re not attending (actually, to the contrary, they just get in the way). Otherwise, it’s a bunch of stuff that’s done better elsewhere in the French Riviera. Promenade de la Croisette is quite lovely, but I prefer its counterpart in Nice. Le Suquet is charming and intimate, but no better than the old town areas dotting the French Riviera. Its historic churches, gardens, parks, and villas are all the same story. Don’t get me wrong, Cannes is a must-do, but it ultimately left me making a lot of (unfavorable) comparisons to other places we visited in the French Riviera. 5. 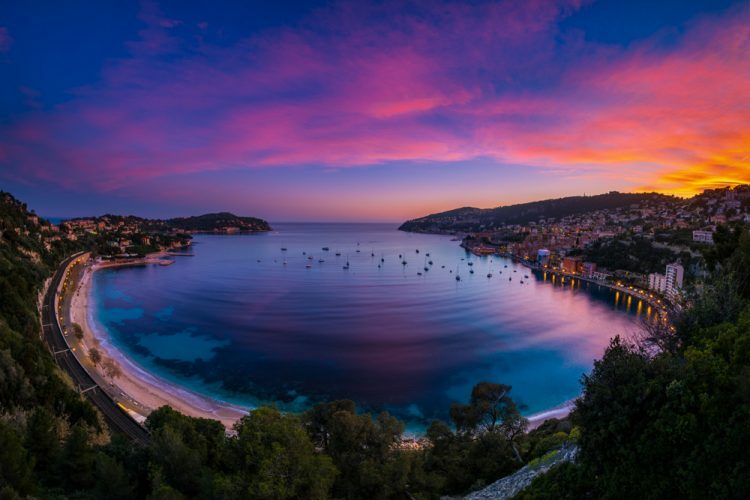 Villefranche – While Cannes is included on this list due to its stature and with a ‘find out for yourself if your opinion differs’, every other place is here because we love it. A short train ride from Nice, Villefranche-sur-Mer is an under-the-radar commune that delivers handsomely thanks to a few key features. First, its beaches are arguably the best in the French Riviera, and aren’t as popular as those in Cannes or Nice. 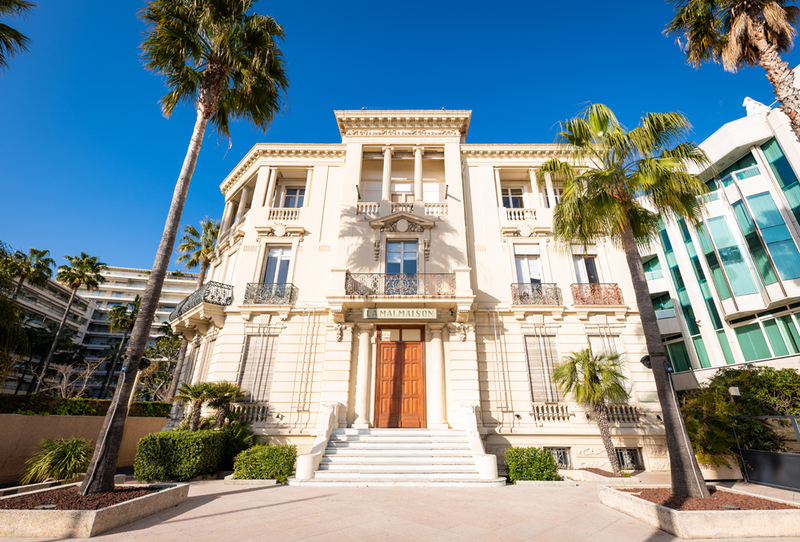 Second, its two villas (Villa Ephrussi de Rothschild and Kerylos) are among the region’s best points of interest. Finally, its parks and nature trails take you above the village, offering stunning “aerial” views of the coastline. Villefranche-sur-Mer doesn’t get enough credit, but it’s an essential French Riviera destination. 4. Antibes – A resort town physically between Cannes and Nice, it’s also between Monaco and the smaller villages in terms of vibe and character. Antibes is known for its old town enclosed by 16th-century ramparts with the star-shaped Fort Carré, but it’s also home to superyachts in the Port Vauban marina. 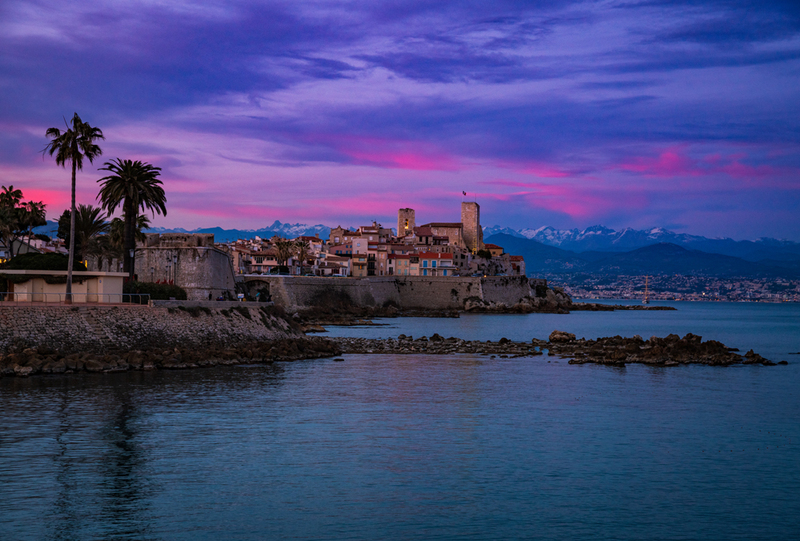 Suffice to say, Antibes is incredibly well-rounded. The Promenade Amiral-de-Grasse walkway offers views of the Alps and, if you walk far enough, a picturesque scene of the mountains towering above the old town. Speaking of which, the architecture and substance of Antibes’ pedestrian-friendly old town is second to none, with a variety of great shops and restaurants (our favorite was Brulot). Fort Carré d’Antibes and Musée Picasso in Château Grimaldi are other highlights. 3. 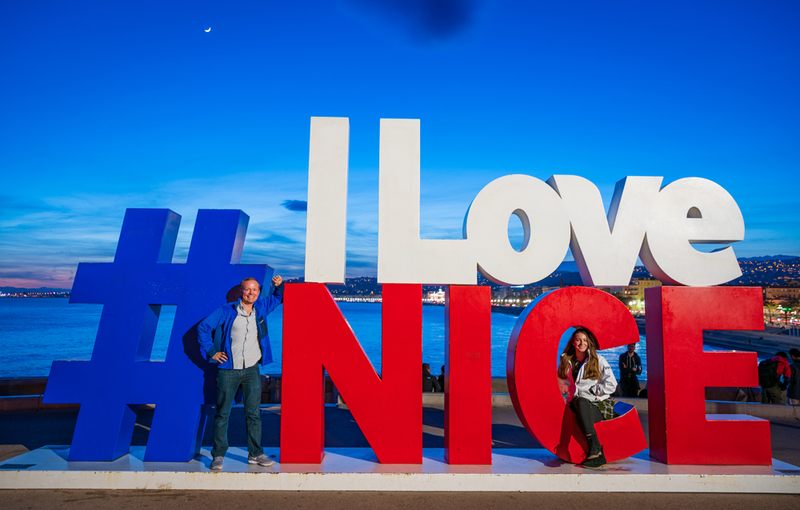 Nice – The unofficial capital of the Cote d’Azur, Nice epitomizes the French Riviera experience with its varied and emblematic architecture, exceptional dining, leisurely promenades, and abundant museums. 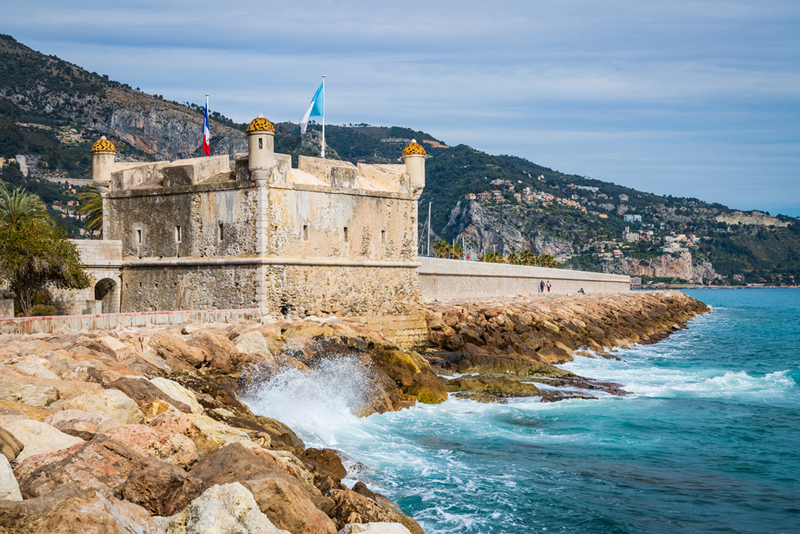 It’s our recommended home-base and jumping-off point for exploring the rest of the French Riviera simply because it’s so convenient and itself is home to so much. 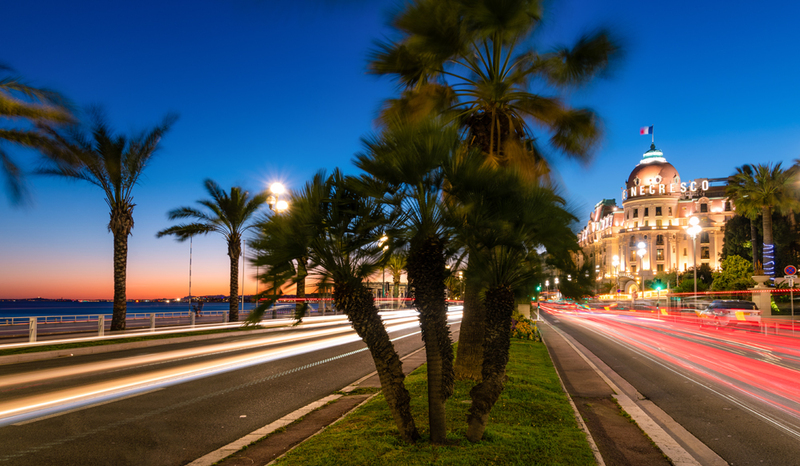 Within Nice, you’ll want to spend a while strolling or biking the Promenade des Anglais, or simply grabbing a good book and sitting in one of the famous blue chairs overlooking the Mediterranean. 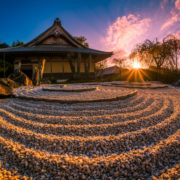 Other recommended activities include climbing Castle Hill for panoramic views of the city, frequenting the outdoor markets along the Cours Saleya (more than once), and spending a few hours in the Marc Chagall and Matisse museums (among others). 2. Èze – This charming, hilltop town nestled between Nice and Monaco is like a fairytale village come to life. It’s supposedly a popular destination with tourists, and often congested to the point of discomfort in the peak summer months. While we could envision that being the case, it was a ghost town during our off-season visit, which only added to our love of this charming medieval locale. 1. 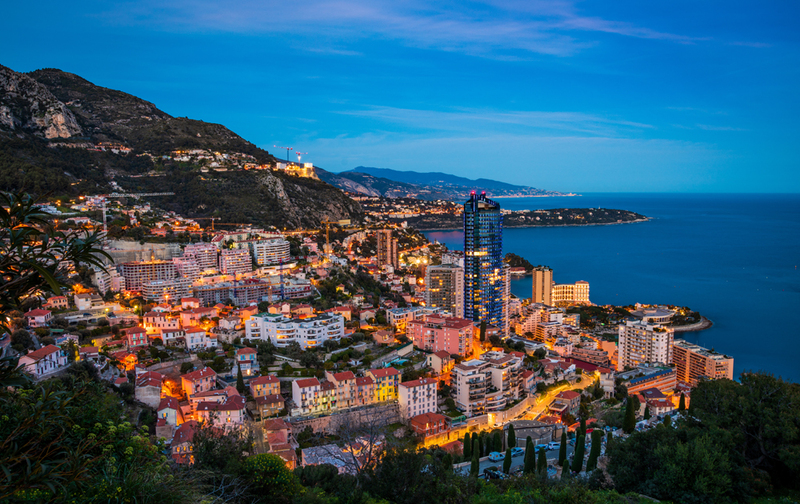 Monaco – Perhaps the best known destination on the Côte d’Azur, Monaco is an independent city-state–the the second-smallest country in the world after the Vatican. Conversely, it has the highest number of millionaires and billionaires per capita in the world, and is home to one of the world’s major banking centers. This is self-evident from the superyachts, real estate, and clientele you’ll see walking into Monaco’s casinos. If you’re not up for an evening rubbing elbows with James Bond in the the Monte Carlo Casino, plan to tour Monaco’s many museums, exotic gardens, historic monuments, and Vieux Monaco, the city’s Old Town. 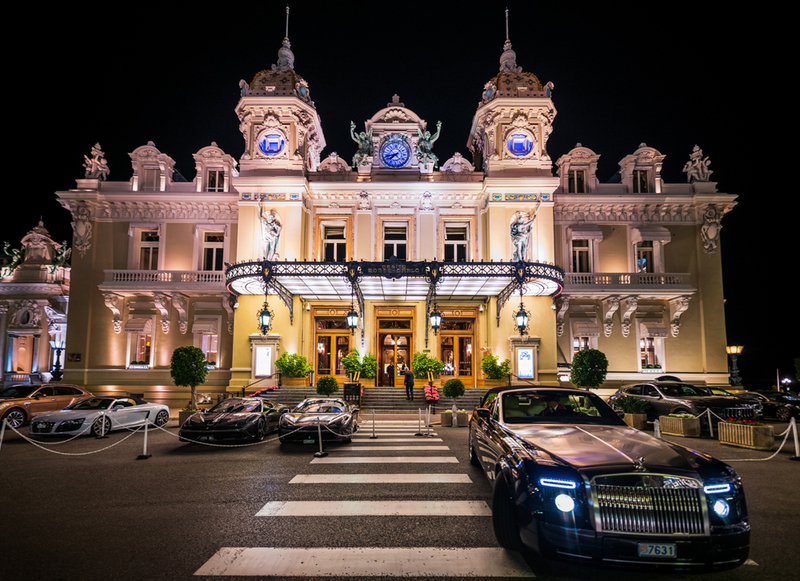 While the luxury retailers, casinos, and other posh establishments are absolutely not my scene, I found there to be a ton of substance in Monaco. 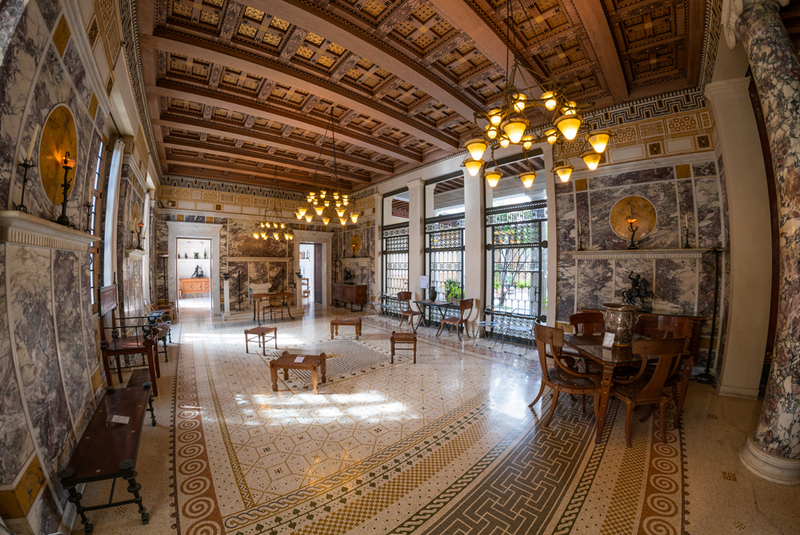 Recommended highlights include the Prince’s Palace, Jardin Exotique de Monaco (don’t miss the cave! ), and Oceanographic Museum (not an ordinary aquarium). If you have even more time, consider Grasse, Menton, St. Tropez, or Cagnes-sur-Mer. Of these, the one you’ve probably heard most about is St. Tropez–and that’s the one of the bunch we didn’t visit. Unfortunately, there’s no direct train service to St. Tropez, meaning you’ll have to take a train, followed by an hour-plus bus ride. To us, that wasn’t worth the effort. We enjoyed Grasse, Menton, and Cagnes-sur-Mer, but don’t see them as ‘destination’ locations, especially for those short on time. With that said, Villefranche-sur-Mer and Èze are arguably half-day destinations each, allowing for another day to do a couple of those other coastal towns. There are entire travel guidebooks (including Rick Steves French Riviera 2019, which is what we recommend) dedicated to the Côte d’Azur, so obviously a ~3,000 word blog post barely scratches the surface. With that said, I think we’ve covered some of the important basics, with more granular advice and itineraries to follow. Many grocery stores, shops, and restaurants are closed Sundays and/or Mondays. Plan accordingly with grocery purchases. Museums in France are typically closed Mondays or Tuesdays. Google Maps bus and train times aren’t always accurate. This is noted in the app, and we found the accuracy to be about 50%. Private beaches and restaurants dot the French Riviera, and are off-limits to non-patrons. 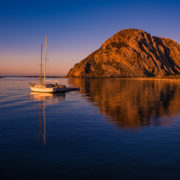 Many of these don’t operate in the winter, but these less crowded alternatives are either a pro or con, depending upon whether you’re staying at resorts offering such access. 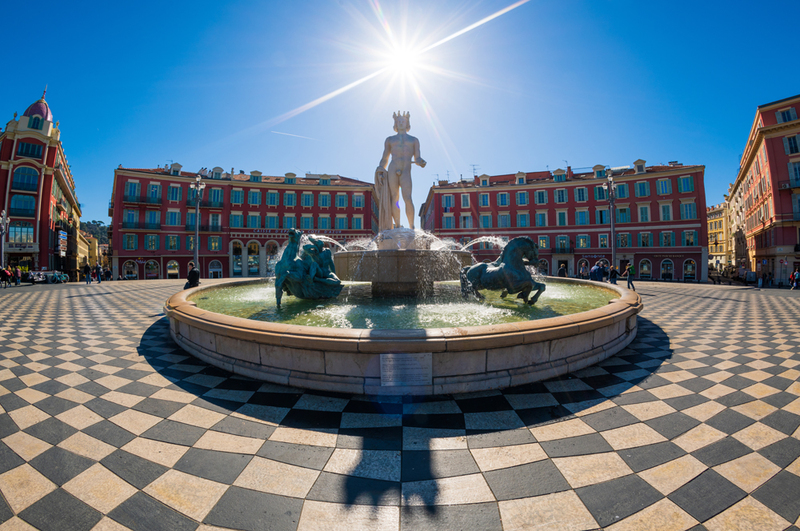 Visitors planning on sightseeing should consider the Côte d’Azur Card, which offers access to 180 destinations and activities, including museums, excursions, and other things. If the value proposition is a close call, we’d recommend doing it. Dress appropriately. This encompasses both for the weather and for the social scene. If you’re only visiting museums and other touristy points of interest, sure, wear athleisure wear or whatever. (You might be judged for it, but that’s your prerogative.) If you plan on stepping foot into a nice restaurant, lounge, or casino, leisure-wear won’t pass muster. Overall, the French Riviera is a great place to visit, not nearly as intimidating as it might seem, and it’s surprisingly easy to visit a number of destinations all while operating out of a ‘home base’ in Nice. We’d highly recommend it if you’re looking for a ‘beach destination’ or want to see the Mediterranean. If you enjoyed our French Riviera Travel Planning Guide or found it useful, we’d greatly appreciate it if you’d leave a comment below and/or share this post on social media via the sharing buttons below. We’ve put a lot of work into this guide, so we’d love for as many people to be able to use it as possible. Thank you so much for your support! Have you visited the French Riviera? If so, what did you do? Where did you stay? Any recommended beaches, things to do, or destinations? Restaurants you thought offered a great view, good drinks, or exceptional cuisine? Any additional tips to add that we didn’t cover? Any questions about planning a visit to the Côte d’Azur? Hearing from readers is half the fun, so please share your thoughts and questions in the comments below! Tom I love your trip ! I am from Ventimiglia right next to the border with menton . I love hiking in the French part . We did go to Ventimiglia for a day! We will arrive in Cannes via the Disney Magic for a day this summer. We (4 adults) were going to spend the day exploring Cannes and Nice (via train) on our own. Do you think our time is better spent elsewhere? Any must-see suggestions? I would add a few notes. If you have a few days to spare go to Provence. Though it lacks the Mediterranean, I cannot stress enough how gorgeous Aix or Avignon or Les Baux are (please google Les Baux de Provence). French people in the South are notoriously warm and gregarious (all that Vitamin D). I look forward to reading more about the area! I don’t know much about it! Thanks for the kind words and the heads up about the Rick Steves interview. Off to find that as soon as I’m done responding to comments here! We loved spending the day in Villefranche. Spent so much time just wandering and exploring the town. So happy to see it made your list. Nice article. There werw some 400 or so dollar flights to Nice recently. Youre making me wish I’d grabbed them. 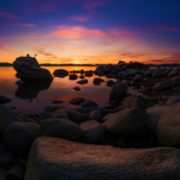 BTW, I really like the sunset fisheye photo and the Chevre d’Or photo. With the combination of light and dark spots, that second photo looks like it was challenging. The challenge with the Chevre d’Or photo was actually white balance. The lighting gave everything a deep orange color cast, and I had to do a fair amount to fix that. That photo is actually pretty de-saturated as compared to what you would see in person. Interesting. I’m curious how you fixed white balance. I’ve finally gotten a clue and started shooting gymnastics meets with a gray card. Prior to that I’d spend a ton of time with the white balance sliders in Lightroom, but I’d often be dissatisfied with my results.